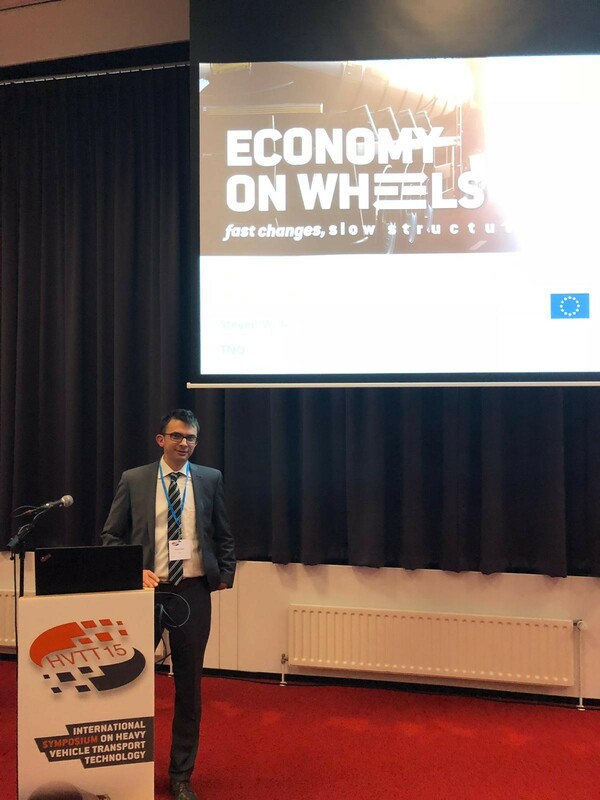 On 4 October, at the HVTT15 in the parallel session on “Electrification and hybridization” the ORCA project results have been presented by Steven Wilkins (TNO). The presentation provided details on the ORCA approach towards developing a powertrain for hybrid bus and truck, with 30 km full electric range, which consumes less fuel compared to conventional vehicles on the market, while costing no more than a conventional diesel-powered truck or bus. In the same session the audience gained insight into electric road systems for hybrid heavy duty vehicles and into electric traction systems in comparison to the standard diesel one. On 4 October, prior to the public presentation, the ORCA Advisory Board and End-user group have also had meetings to discuss the project developments from the market perspective.